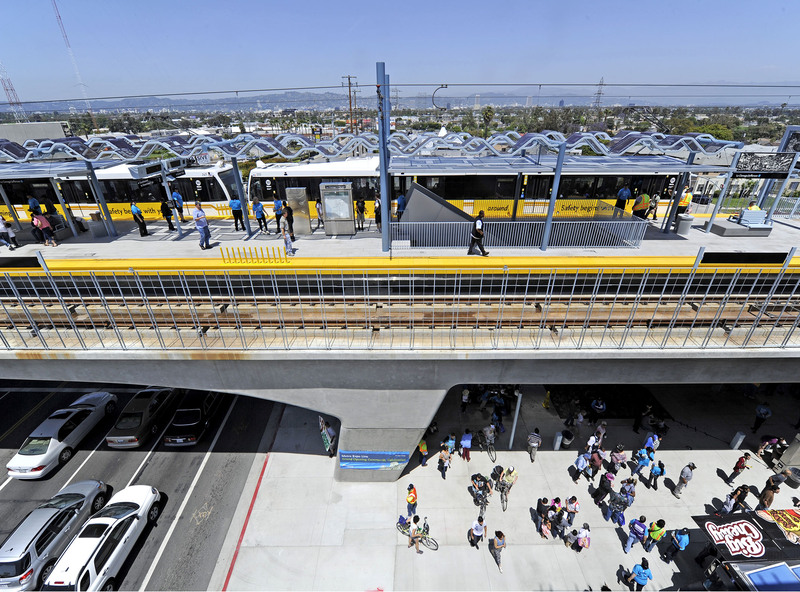 Gruen Associates was the Design Lead for Urban Design, Architecture and Landscape Architecture for the nine-station Mid-City/Exposition Phase I light rail transit line, preparing the Final Design for the Architecture of stations, bridge aesthetics, and Landscape Architecture for the entire corridor. 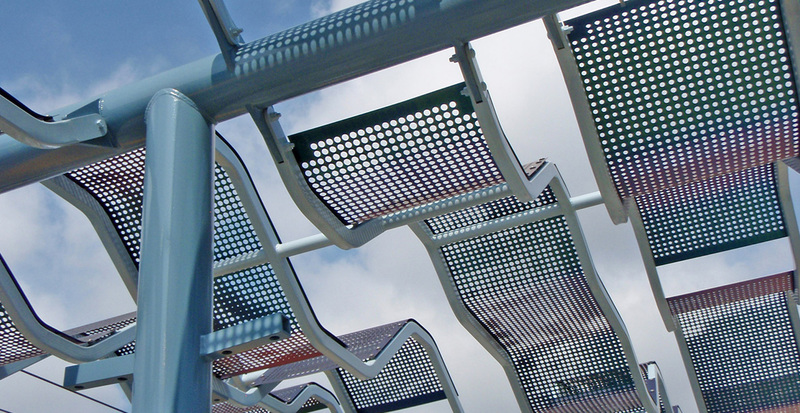 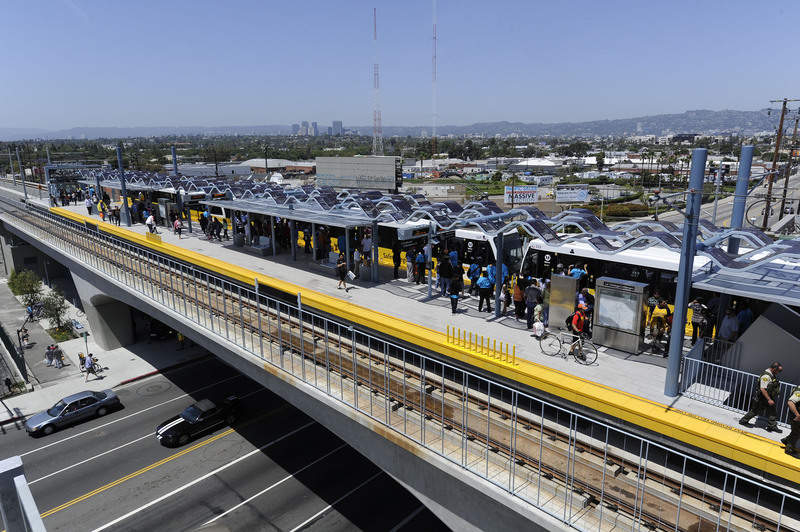 As a major subconsultant on the Design-Build team, Gruen was an integral part in implementing the vision for a true Transit Parkway from Downtown Los Angeles to Culver City. 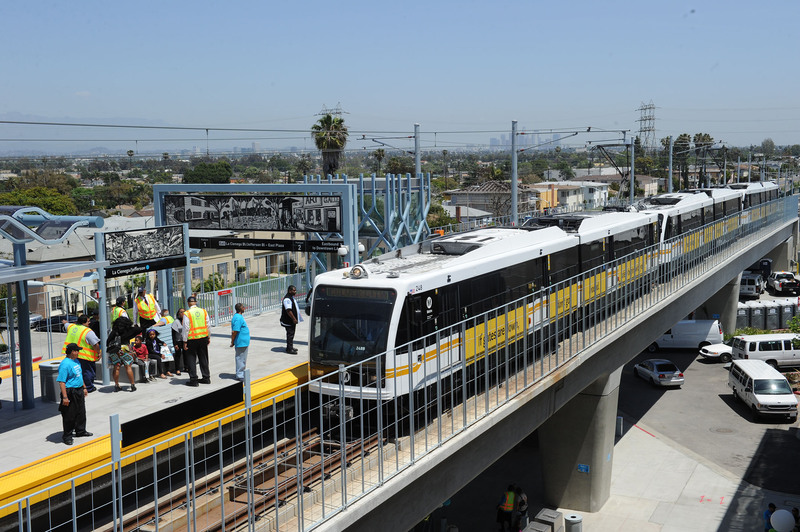 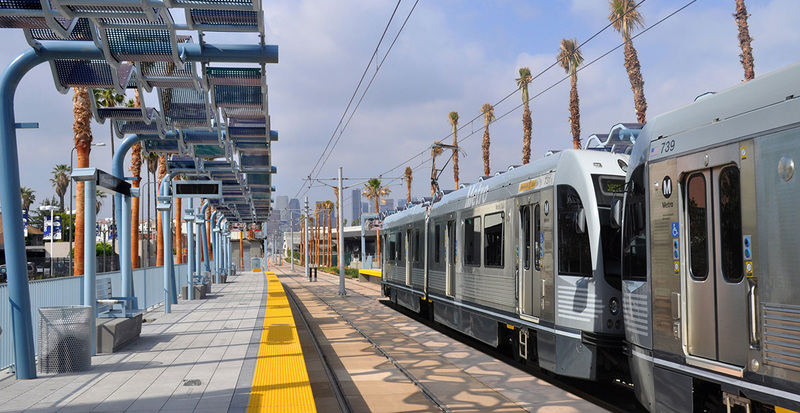 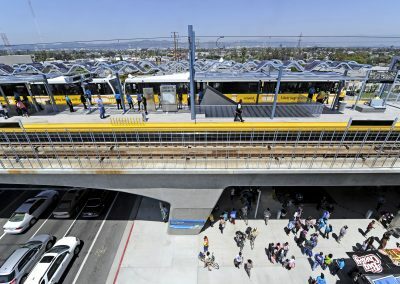 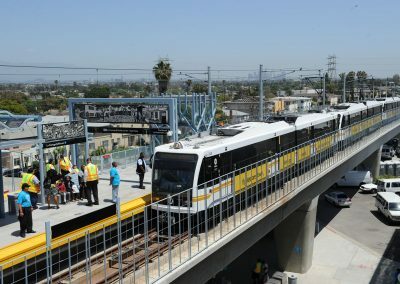 The $940 million, 11-mile light rail line travels along the Exposition railroad right-of-way (ROW) from downtown to Venice/Robertson in Culver City. 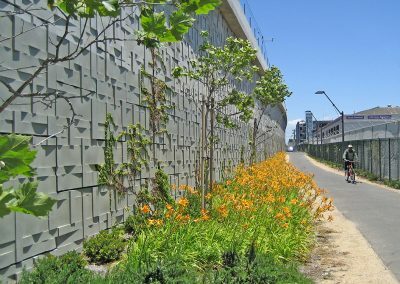 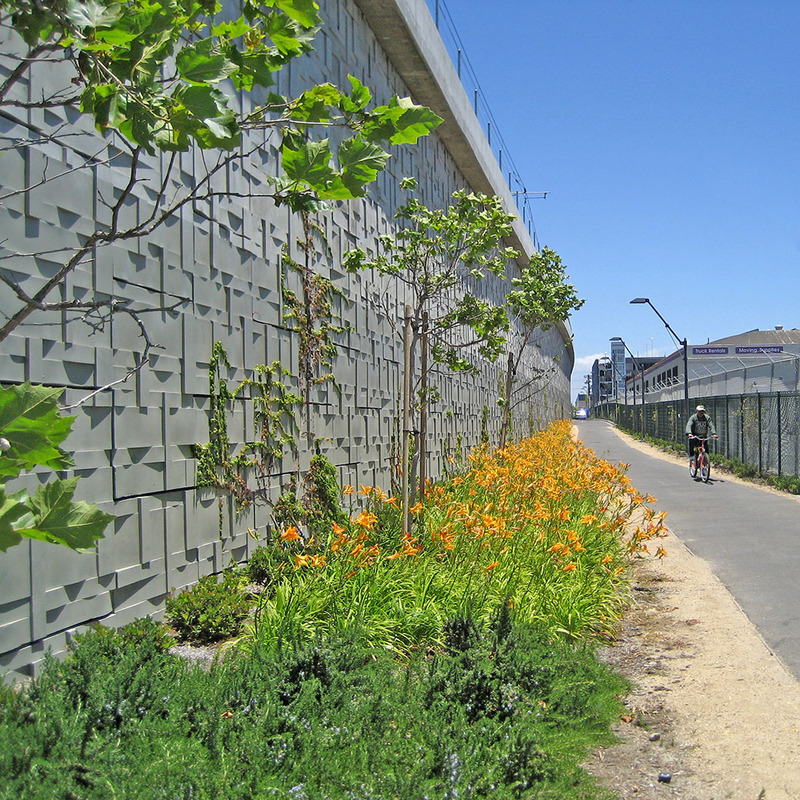 The light rail line includes continuous trees and sustainable plantings providing visual buffering for neighboring residents and humanizing green space within industrial districts. Along that alignment, it connects some of the densest residential neighborhoods of Los Angeles with a variety of cultural and historic sites as well as the business district of Downtown Los Angeles.